Does your Hare need a wash? 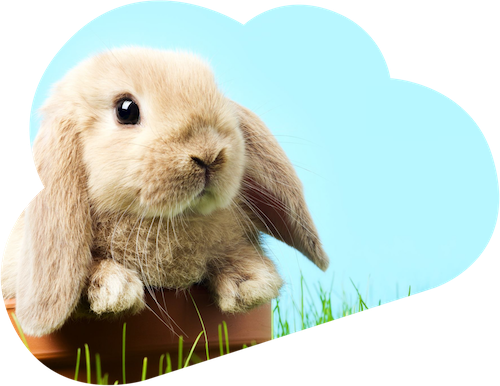 We’re the top rated Rabbit Groomers in Mountain View, CA and we can help you! Are your one-stop Rabbit gurus who can help with grooming and behavioural issues. Reach our to our world class team of rabbit grooming specialists! Choose the time that works best for your rabbit. Coordinate on pickup or drop-off. Whether you’re looking for rabbit boarding or other special care we can help! Whether you’re moving, on vacation or just need some you time – we’ve got you covered! Don’t take our word for it – see these stellar reviews from our current customers. Tim and Leanne are simply the best. They helped guide me through dealing with terrible rabbit fleas. They turned a nightmare into a dream. RabbitGroomers saved me from having to give up my Toni when I had to leave for a last minute work trip. If it weren’t for them I would have had to send Toni away. Book a grooming appointment for your rabbit today!